As the Himalayan peaks witnessed their first snowfall, I was automatically reminded of my days in Gilgit-Baltistan (G-B). I turned towards the window overlooking the silhouette of mountains, and I wondered whether Gilgit will witness a peaceful Muharram this year. 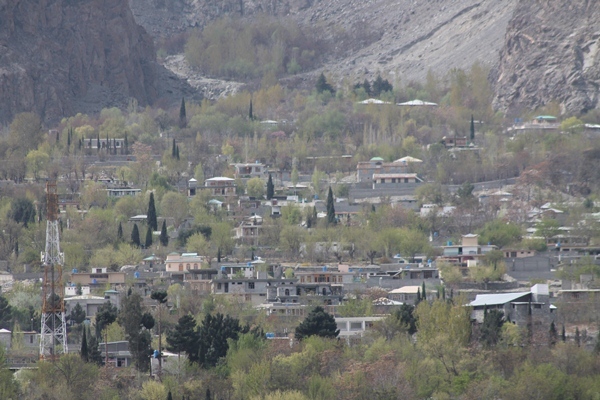 Gilgit, being the capital of the province, is home to a fair representation of all sects; Sunnis, Shias, Ismailis and Noor Bakhsis. 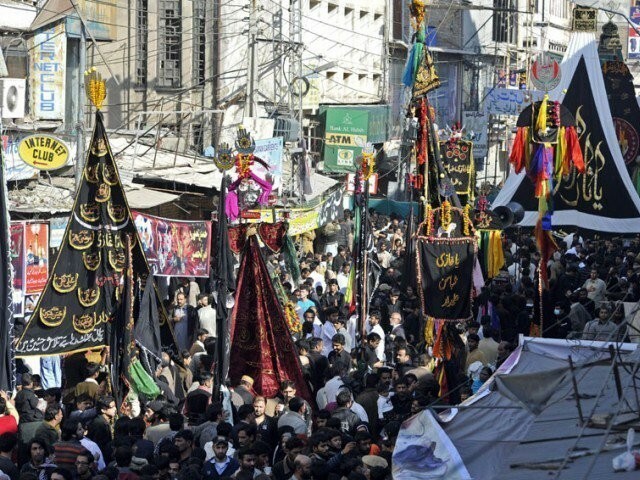 During Muharram, streets are thronged with men, women and children making their way to various majalis and processions. “We climb the mountains around Gilgit valley to illuminate the name of Imam Hussain (RA), drawn out with candles,” says a young Ali Madad. Attendance at offices remains thin during the days of mourning as more and more Shias throng to the Azaa daari. The processions make their way through the twisting streets of Gilgit city, with hundreds of mourners remembering the sacrifice of Imam Hussain (RA). Taazia (a replica of Imam Hussain’s (RA) shrine) and Zuljinah (symbolic of the horse Imam Hussain (RA) rode into the Battle of Karbala) are brought out on the main procession and sabeels (milk and water stalls) line the way of the procession. “We arrange sabeels for the mourners and hope for God’s mercy in return,” said Muhammad Ali while mourners chanted their words. The mourners wear expressions of deep sorrow and heart wrenching grief. Apart from Imamia Masjid, there are majalis in other places too, such as Ampura bargah in Khomer, Jutial, Nomal and Jalalabad but the main procession on Ashura only congregates at the Imamia Masjid. It was during my two-year stay in Gilgit that I came to know of the unfortunate sectarian divide which plagues the city. I witnessed curfews imposed in the city because of massive sectarian violence at that time. The roots of this sectarian violence can be traced back to the Sunni Shia riots of 1988 in G-B. Religious intolerance was unheard of before that time. People used to live in complete harmony with other religious sects and intermarriages between the sects were a common practice. The peaceful co-existence took a turn for the worse during the riots, which ended up dividing the entire population in the area. Almost three decades after the riots, crime statistics illustrate that murder, robbery and theft are still rarely committed crimes, as compared to cases of sectarian violence which top the chart. The masses are heavily influenced by clerics in the area and the sectarian divide in Gilgit is so extreme that Sunnis and Shias have separate prisons, hospitals, public transport and residential colonies. Buses travelling from Skardu, which is predominantly Shia and Noor bakhshi , face difficulties crossing Chillas and Kohistan which are Sunni cities and vice versa. It reminds me of the time when I had to travel from Gilgit to Skardu and had asked my Sunni driver to accompany me. He refused to go to an area which was Shia dominated because he felt threatened. Even government employees of a particular area prefer not to get posted in the area of ‘others’. It’s actually unimaginable for people to move around freely in areas that belong to other sects. Sectarian rifts are further fuelled by other unfortunate incidents of sectarian violence all over the country, making it near to impossible for the situation to mellow down. “It is simply not acceptable in Gilgit that one does not have any sectarian affiliation. It’s a must if you want to live here.” said a local lecturer whom I met at the Karakoram University. Local government officials and the police seem helpless in such situations because of their own sectarian biases and lack of a strong will to address the issue. The local police and administration predominantly comprise of local people who exercise biases in their implementation of laws. Dr Leitner, who was a British orientalist, writes prolifically about the strong religious attachments of the natives of northern areas. Similarly, Dervla Murphy, an avid traveller, relates similar experiences of witnessing religiously charged mourning processions during her visit to the area in 1975 in her travelogue. She also goes on to suggest that such religious sentiments could always be harnessed for religious extremism. Gilgit has witnessed numerous target killings of both sects and still remains fissured along sectarian lines. However, the hope for a better future cannot be given up because of some dedicated efforts by people belonging to both sects. In 2012, a large number of Sunnis joined the main procession on Muharram 10th to promote religious harmony. “The unfortunate target killings and damage on both sides have given us the reason to consider peace as an option”, said Muhammad Ameen, a local shop keeper. As Ashura approaches, I remain assiduously hopeful that the sectarian divide in the region will be sincerely brought down by the heartfelt efforts of people from both sects. G-B is a beautiful place which deserves peace and harmony in order to aid the development along the Pak-China border which will benefit the locals, as well as the Pakistanis at large.